We have an unique offer on the web for our web radio hostings plans at an unprecedented prices. To complement our services to our valuable customers we decided to offer besides a radio server hosting a free web hosting too. And that's without adding to the radio server price any extra penny!! Certainly any radio station needs a web site too. 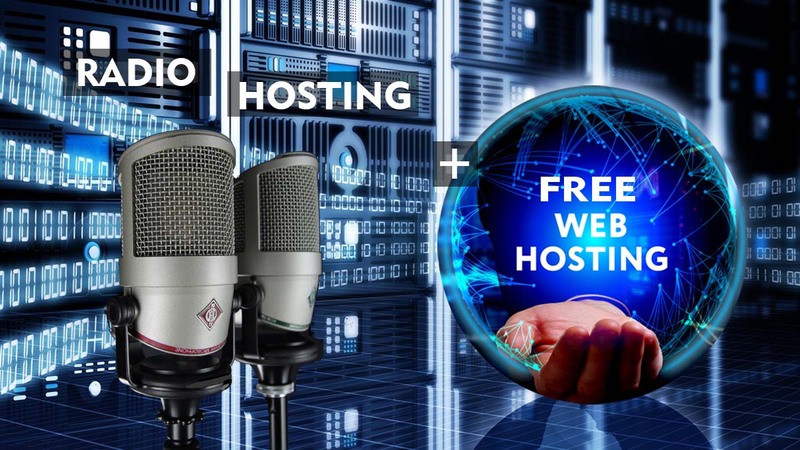 For this, in the price for the Shoutcast or Icescast server what you buy from us, we offer a free professional web hosting service with many possibilities ! Centova Cast cPanel v.3.x with SHOUTCAST v.2, Icecast v.2, cPanel for Web Hosting with a lot of possibilities. * All Free Webhosting Plans are only for our Radio Hosting Clients. Note: Free Webhosting plans can be used only by customers who order or already have one active radio servers hosting plans that appear on our offers with this possibility. If one of the beneficiaries of this offer (Free Web Hosting) wants to give up or cancell his radio server hosting, will lose the right to Free Web Hosting too. Softaculous is a application built into cPanel that allows you to easily install from over 420 free scripts/software. This includes the popular Wordpress & Magento. Having an SSL installed on your site is now a factor for the search engine standing and a requirement for using the latest and faster HTTP/2 protocol for loading your website.